Fall is here!! The leaves are starting to change and the temps are slowly dropping. I am SO excited because it means it's time for fall photos. It truly is the best time of year for photos- and the perfect soltuion for any kiddos (or adults) that lose attention quickly. Below you will find the packages, pricing, FAQ, the schedule, and more. Be sure to book your mimi session asap- they will go fast! - One location (Assigned based on time slot). Below I have listed the dates and time slots available for the fall mini session special. If you find a slot you like- just scroll down and hit "click here to book your session today" and send me a message. Keep in mind that locations are assigned to each slot. Feel free to reach out if you don't see a time or location that works for you. (Council Grove)- 3:20pm-3:35pm, 3:40pm-3:55pm, 4:00pm-4:15pm, 4:20pm-4:35pm, 4:40pm-4:55pm, 5:20pm-5:35pm, 5:40pm-5:55pm.
" April is such a joy to work with! She really wants to give you exactly what you envision with your photos. She asks you what type of photo shoot you want, if you have a location in mind, and what you like. For example, I love wildflowers and she knew of a spot with beautiful flowers to shoot in. She even took up my idea of hiking up the M to shoot. April is really easy to talk to and always has your best interest in mind. My senior pictures turned out amazing and I couldn't be happier! I highly recommend her and will go to her for future photos." "I just received my photos from the shoot my boyfriend and I did with April and they are amazing. They turned out better then I ever imagined. She did a terrific job capturing our personalities. She was also very easy to work with, she gave us tips and helped with posing but also kept it natural, which is my favorite part of the pictures. I would highly recommend her! It was the best money I have spent all summer"
"April is a fantastic photographer! Great to work with, quick turnaround on editing. Our pictures turned out perfect. Highly recommend her for any family photography session!" "My family and I recently had family photos taken by April. Not only was she a fun person to work with, but the pictures were amazing. I would highly recommend April Payton Photography to anyone who's looking for a photographer! Thank you April!" "Two thumbs up for our mini-session with April! Fantastic shots of my two teenage sons along Rattlesnake Creek. She really captured their personalities and the shots didn't look forced or staged. Very happy with our whole experience. April is great to work with!" CAN I BOOK ANY TYPE OF SESSION WITH THE FALL MINI SESSION? Yes, of course! Any kind of session qualifies for the fall mini sessions. This includes family, newborn, maternity, engagement, couples, single portraits/headshots, senior photos, pet photos, etc booked on select dates in October. You can find these available slots listed below under Fall Mini Session Schedule. WHAT IS REQUIRED TO BOOK A FALL MINI SESSION WITH YOU? 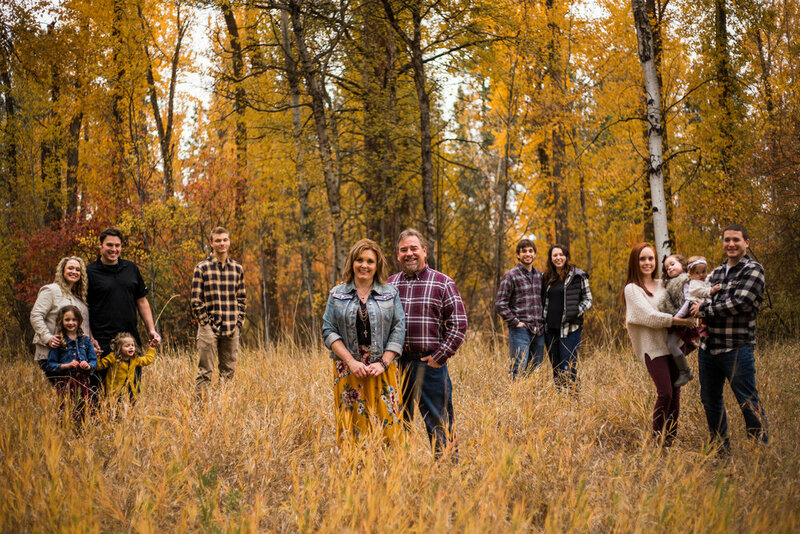 To book fall mini session, contact April Payton Photography to request a date/time via phone (406-214-9046), email (aprilpaytonphotography@live.com), social media, or the contact tab at the top, middle, and bottom of this page. Then, you will be required to sign the agreement and pay the non-refundable booking fee. The non-refundable booking fee is the total amount due of $75. If you cancel, it will not be refunded. Reschedules are okay if illness or weather permits. WHEN AND HOW WILL I RECIEVE MY IMAGES? You will receive an online gallery 3-4 weeks from your session date. This selection gallery will include up to 10 color and 10 B&W images that you will be able to download in low or high resolution. Don't forget, you have printing rights included with your session! WHAT IF I NEED TO RESCHEDULE? WILL I LOSE MY BOOKING FEE? Rescheduling is always okay if anyone in your party is sick, injured, or if the weather is crummy of course! You must be flexible with April Payton Photography's schedule- but we can always find another day if need be! The only way to "lose" the retainer fee is if you completely cancel the session for ANY reason. CAN I BOOK MORE THAN ONE MINI SESSION? Of course! You can book however many you'd like- but the rate stays the same per slot! You are welcome to book a couple back to back (or seperately) if you'd like a longer session.